Dogs are remarkable creatures. Anybody who has lived with one will know that they are very vocal beasts, with barks that range from noting the presence of a squirrel in the yard to the warning whine that says “I am about to pee on your shoes if you don’t take me outside.” [Henry Conklin] decided to computerize the analysis of these noises, putting his dog [Oliver Twitch] on Twitter so he could hear what he was saying while he was at work. [Henry] that is: [Oliver] stays at home. He did this using a Raspberry Pi, which is set to record sound above a certain volume. With the system sitting by [Oliver’s] favorite window, this records his barks. The recordings are then analyzed using PyAudioAnalysis, a library that analyzes sounds, compares them to reference ones and classifies them. The Raspberry Pi then posts the results onto twitter using Python-twitter. 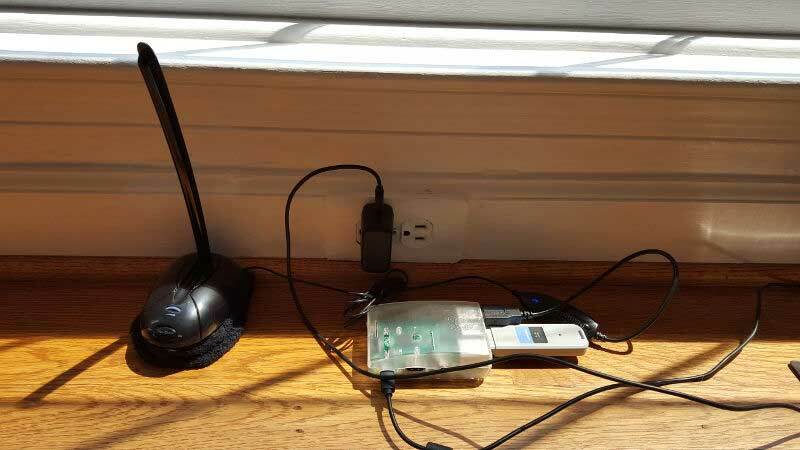 The setup used by [Oliver] to capture the barks: a USB microphone, Raspberry Pi and WiFi USB dongle. Or rather, it will when [Henry] fixes a few bugs: right now it just posts a random string that is based on the length of the bark, not the type. [Henry] says he is working on the dog translation at the moment. It’s still a neat project that shows you how simple it is to use a few small bits of code to gather info from your environment and share these over the Internet. [Henry] also says that the next step is creating a weekly podcast for [Oliver]. I, for one, will be subscribing to hear his thoughts on how annoying the postman is, and how vexing it is to see a squirrel and not be able to chase them.